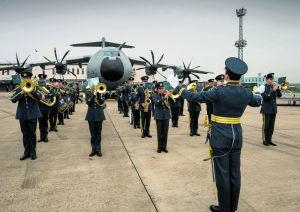 I am a musician in the Armed Forces, currently serving with the Central Band of the Royal Air Force and based at RAF Northolt. I play the euphonium, which is a member of the brass section. As a child, all that I ever wanted to do was join a military band and play my euphonium. I enjoyed watching the Changing of the Guard at Buckingham Palace and it was always my ambition to take part in it myself. 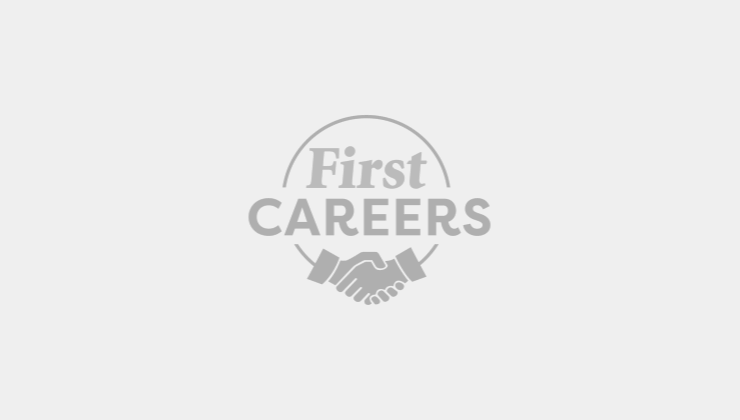 I visited an Armed Forces Careers Office (AFCO) and everything moved on from there. There were a number of interviews, a medical and a fitness test prior to starting basic training. You will have to have an audition with the band to see if you are suitable for the job. I love the versatility of my job. 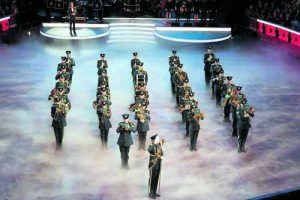 One day we can be at Changing of the Guard at Buckingham Palace and the next we could be on the stage at the Royal Albert Hall performing in front of thousands. I have had the privilege to travel around the world and take part in many international/national state ceremonial events. For example I was privileged to take part in the handover of Hong Kong to China in 1997 and more recently the royal wedding in 2010 and the Queen’s Diamond Jubilee in 2012. 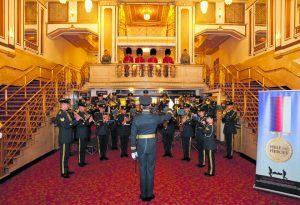 We perform in many different ensembles, ranging from the Symphonic Wind Band right through to small jazz groups. One of the best parts of my job is being able to entertain people through music. Wearing a thick uniform on very hot days can be exhausting, especially if you are out on parade for a long period of time. Therefore it is essential to maintain a decent level of physical fitness as well as a high musical standard. With such a busy diary it is up to the individual to maintain those standards which, at times, can prove difficult. It is all about managing time effectively. You need to be grade 8 ABRSM standard or above in performance on your chosen musical instrument and a decent level of fitness is expected due to the physical demands of the job. Versatility is an essential part of the job, as not only are we musicians but we also support military operations wherever we are required. It is also vital that you have a sense of humour! What is it like to be a Performer? What is it like to be a Guitarist? What is it like to be a Songwriter?